Germany, 19th century. On three feet. 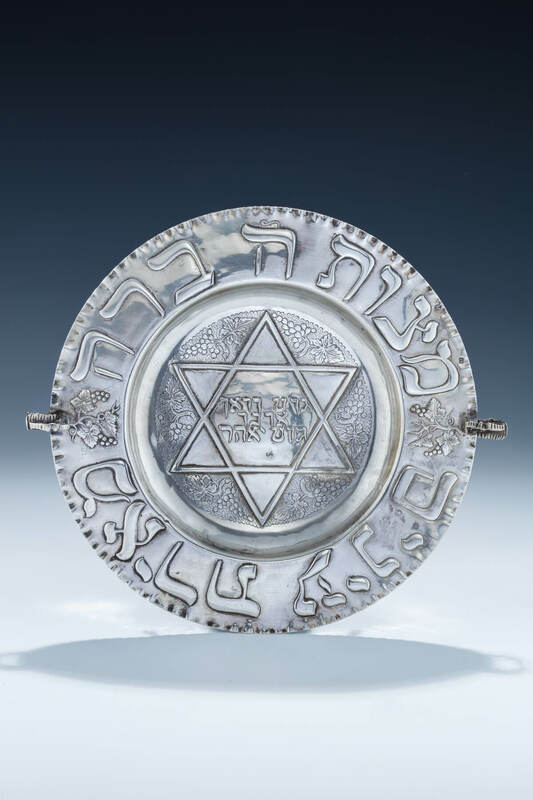 Hand chased with yiddish blessing in center and scriptural verse on upper rim. Marked. 10.1” wide.